NEW YORK—Venezuela was once the country of dreams—but those dreams have turned into nightmares. Such is the sad verdict of one of the country’s bishops. A university education has become the privilege of a select few, the prelate charged, adding that many young people join gangs or become criminals: “The people are afraid,” he continued, as drugs, murder and torture have now become part of everyday life. “We are worse off than ever. Hospitals have neither medicine nor bandages. There is no food in the houses. Trucks are constantly being plundered because the people are hungry and no longer have any regard for anything, the bishop said. Citizens receive food rations each month that include flour, noodles, butter and sugar, but the portions are too small. “Each family receives 300 grams of powdered milk, half a kilo of pasta or 200 grams of butter. If they would like to buy something else, such as meat, eggs or fish, then they have to pay for it with money that they don’t have,” Bishop Villarroel said. However, the Church is also battered itself. 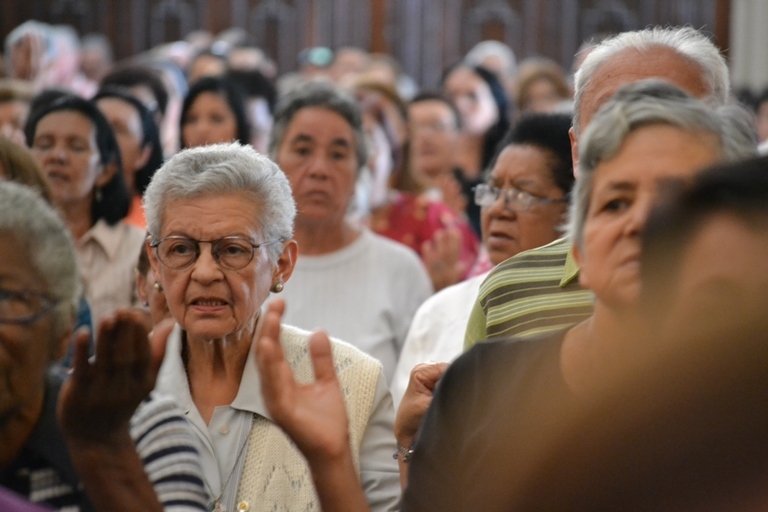 In the Diocese of Carúpano—where only 2 percent of the people go to Mass, and where evangelization efforts “haven’t reached the hearts of the people”—the bishop said, churches and even cathedrals are subject to violent attacks. Elsewhere, four young seminarians were recently assaulted and humiliated—with no response from authorities.